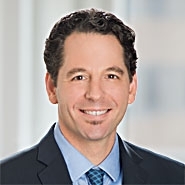 The Federal Circuit on Thursday issued an opinion in Amgen v. Sandoz holding that that the Biologics Price Competition and Innovation Act (BPCIA) preempts state-law claims that are based on a biosimilar applicant’s failure to participate in the BPCIA’s patent dispute resolution procedures, a/k/a the “patent dance.” In light of the Supreme Court’s earlier ruling that the BPCIA provides no federal remedy for this failure, the Federal Circuit’s decision confirms that biosimilar applicants may opt out of the patent dance without facing legal liability. The dispute between Amgen and Sandoz was the first under the BPCIA, and it involved the first biosimilar product approved in the United States, Sandoz’s Zarxio. Zarxio is a biosimilar of Amgen’s Neupogen (filgrastim), a cancer treatment drug. Before Zarxio’s approval, Amgen filed a lawsuit asserting, among other things, that Sandoz had refused to initiate the patent dance by giving Amgen pre-suit information about its biosimilar. Amgen claimed that this failure was an unlawful act that was actionable under California’s unfair competition law. In 2015, The Federal Circuit, in its first decision interpreting the BPCIA, rejected Amgen’s unfair competition claim, holding that there was no unlawful act because under the BPCIA a biosimilar applicant can opt out of the patent dance so long as it is willing to accept the statutory consequences for doing so. The Supreme Court granted the parties’ cross-petitions for certiorari and, in a decision issued earlier this year, agreed with the Federal Circuit’s interpretation of the BPCIA on this issue. The Court, however, declined to decide whether failing to follow the patent dance can subject a biosimilar applicant to state-law liability. Instead, the Supreme Court remanded the case to the Federal Circuit with instructions to determine whether California would treat non-compliance with the BPCIA as unlawful and, if so, whether BPCIA preempts any additional remedy under state law. The Court noted, however, that the Federal Circuit could instead assume the existence of state-law liability and address preemption first. That is what the Federal Circuit did. On remand, the Federal Circuit took up the preemption question first and, after finding that Sandoz had not waived the argument, held that the BPCIA preempts state-law claims premised on an applicant’s failure to participate in the patent dance. The Court found both “field” and “conflict” preemption applicable. 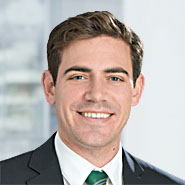 As to field preemption, the Court pointed to the BPCIA’s complexity and its “carefully calibrated scheme for preparing to adjudicate, and then adjudicating” biosimilar patent infringement claims as indications that “the federal government has fully occupied this field,” leaving no room for state-law claims to exist in this area. As to conflict preemption, the Court found that Amgen sought to impose through state law penalties for non-compliance with the BPCIA that Congress intended to omit from the statute. The Court was particularly concerned that casting the BPCIA’s “detailed regulatory regime in the shadow of 50 States’ tort regimes” would “dramatically increase the burdens on biosimilar applicants beyond those contemplated by Congress in enacting the BPCIA.” The Court, accordingly, ruled that Amgen’s state law claims could not proceed. The Federal Circuit’s decision largely affirms the status quo. The patent dance has been widely understood to be optional since the Federal Circuit first held that it was in 2015. The decision makes that conclusion final and closes the last avenue for challenging it under existing law. It can now be said without qualification that if a biosimilar applicant opts out of the patent dance, the only legal consequences will be those expressly identified in the statute: (1) the innovator may sue immediately on patents it reasonably believes may be infringed (35 U.S.C. § 271(e)(2)(C)(ii)), and (2) the applicant may not bring a declaratory judgment claim (42 U.S.C. § 262(l)(9)(C)). Although a number of recent biosimilar applicants have accepted those consequences and opted out of the patent dance, it is likely that in the long run, the benefits of participating in the dance will become more salient to applicants, and opt-outs will become less common.